Great for a grilling crowd! 1 Combine dressing, Hellmann's® or Best Foods® Real Mayonnaise, cream cheese, blue cheese and cayenne pepper sauce in medium bowl; set aside. 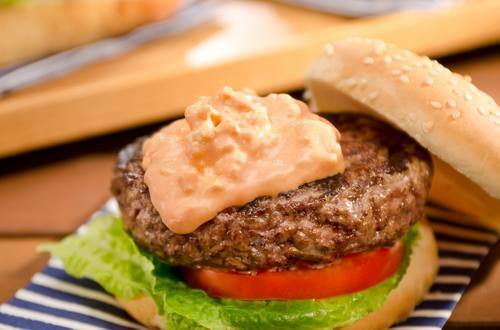 2 Arrange burgers on rolls, then top with blue cheese mixture and roll tops.